A pig dreams of flying and does not give up until he is successful. This book will spark discussions about the benefits of persistence in accomplishing one's dreams. It has lovely, whimsical illustrations. A boy beautifies his neighborhood by transforming a bare wall into a work of art. This book celebrates the diversity and uniqueness of a neighborhood, while also showing an example of how one person can create change. Seventh-grader, Zoey, spends a lot of her time taking care of her younger siblings. Zoey's family struggles because they are poor and Zoey notices the way her mother's boyfriend treats her and doesn't approve. Zoey wishes she were an octopus and imagines how life would be easier if, for example, she had eight arms instead of just two. As Zoey struggles through the challenges of her life, she learns to become more a more confident person who stands up for herself and others. This is an interesting story, with a great main character, that explores important themes. Some students will relate to the challenges Zoey faces, but for others it will provide insight into the experiences of children living in poverty. I had been hearing about this book for a while before it was published and, for me, it lived up to all the positive reviews. This graphic novel has adventure, action, and humor. This is one that I can hand those students who love the Hilo series. A few of my students read it last week and they loved it. Read more about my thoughts here. Thanks for sharing. I recently read Hey, Wall also and liked it. Love the illustrations which make the community seem so lively. You'll read it quickly so I say steal it for yourself first. The Dreamer looks nice, Lisa and I have Hey, Wall, just haven't opened it yet. I will! Thanks for sharing The Benefits of Being An Octopus. It also sounds good. Looking forward to hearing your thoughts on Hey, Wall. I've seen lots of positive comments about The Benefits of Being an Octopus. I definitely need to check this one out. Have a great week! All the positive comments are deserved! 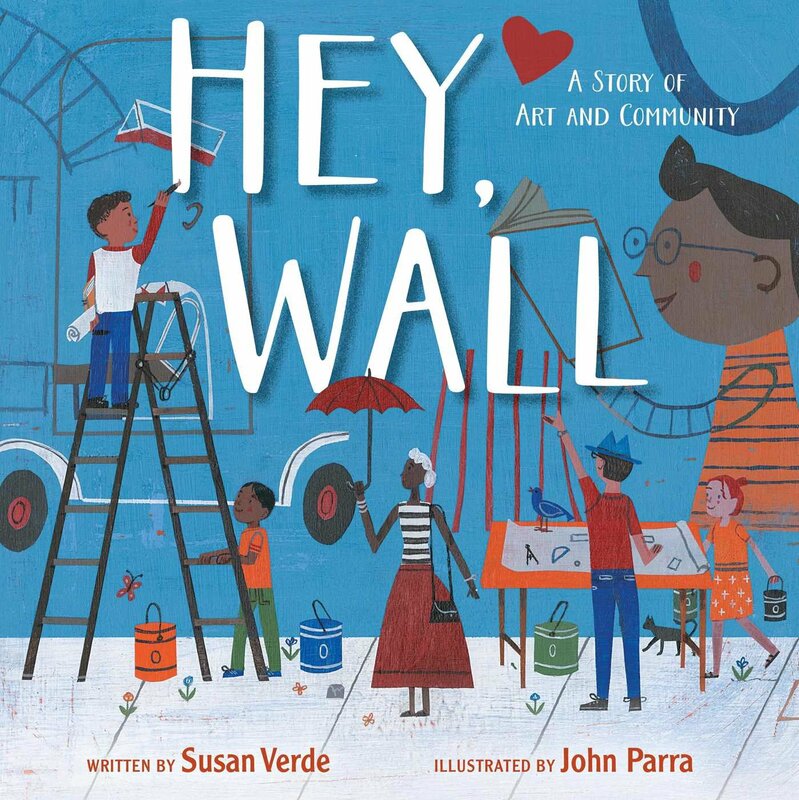 Hey, Wall: A Story of Art and Community looks really good. I'm adding it to my list. I'm so glad you enjoyed Benefits of Being an Octopus. I hope it will be a good window for those of us who THOUGHT we were poor and had it rough. Wow. The issues of abuse and lack of power are incredibly important topics -- it's easy to judge when you're not the parent having to do whatever necessary to make ends meet. Thanks for the shares this week, Lisa! 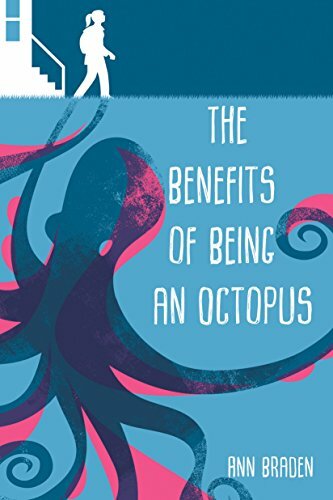 Benefits of Being an Octopus is definitely one of those books that can help you get in another person's shoes and understand other's lives a little better. I did like The Benefits of Being an Octopus. Just wish it had a better cover! I just borrowed Hey Wall from the library. It reminds me of Maybe Something Beautiful by F. Isabel Campoy. My art teacher and I are working on collaborating this year with art and literacy so love both these books. And I just can't say enough good things about Octopus. Definitely a book that will stay with me. Have a great week Lisa! The Dreamer looks AMAZING! I am wondering if it could parallel some social issues. I am going to get a copy. Thank you! I have got to get to Creature Seeker asap because I know I have readers for it! Beginning of the year always means more graphic novel readers! Unfortunately none of these picture books are available at my library here. I am so intrigued by The Wall - I will have to get a copy of that. I've stacked in my Goodreads TBR. My favourite store has been unable to get Octopus lately. Too much demand, they say. I have a school that loves HiLo, so I guess I am going Creature Hunting. Thanks for the tip on that one!